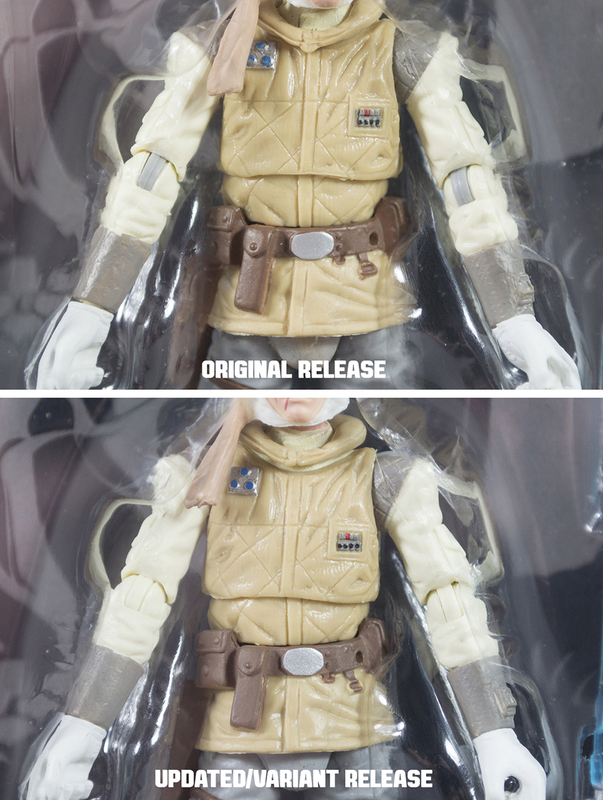 Several readers have been asking “when will HasbroToyShop open orders for the 6″ Black Series Exclusives from SDCC 2016?” It is a valid question considering Hasbro’s “go live” times have had a track record of unpredictability. Click on through for our breakdown* of the previous five (2001-2015) SDCC exclusives. Speaking of variants, a new figure variant has surfaced that actually improves upon the pre-existing figure. 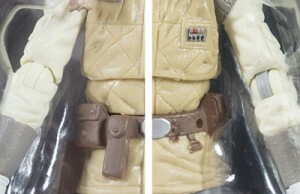 Newer releases of #02 Luke Skywalker (Hoth) now feature color matched (tan) elbow pins. The original VC95 and TBS #02 releases has contrasting gray pins that stood out quite noticeably. Click the image above for a closer look. Thanks to our friend Matt Booker from JediNews for the heads up. Starting today through midnight Cyber Monday, December 1st, 2014, K & C Collectibles is offering 10% off all in-stock merchandise. In addition we are offering FREE Shipping for those orders over $90. Your shipping address must be within the continental USA. Offer valid while supplies last. Our sponsors over at DorksideToys have listed several new Black Series 3-3/4″ figures as well as some repacked figures from the Vintage Collection. Thanks to Flyguy for the heads-up. It appears that some orders processing out of Amazon warehouses are forgoing shipping boxes and just slapping the labeling right to the TVC packaging. Check out this post at Rebelscum for an image that will shock and amaze. If your order hasn’t processed yet, I strongly suggest you call and request your order be packed out correctly. This week at Toys”R”Us all Star Wars (plus Marvel and G.I. Joe) figures are $7.00 each. This sale includes Clone Wars, Movie Heroes and Vintage Collection figures and is available both in-store and online.